​Bayer Leverkusen youngster Kai Havertz has been to visit Liverpool's Melwood training ground ahead of a proposed move to the Premier League giants. 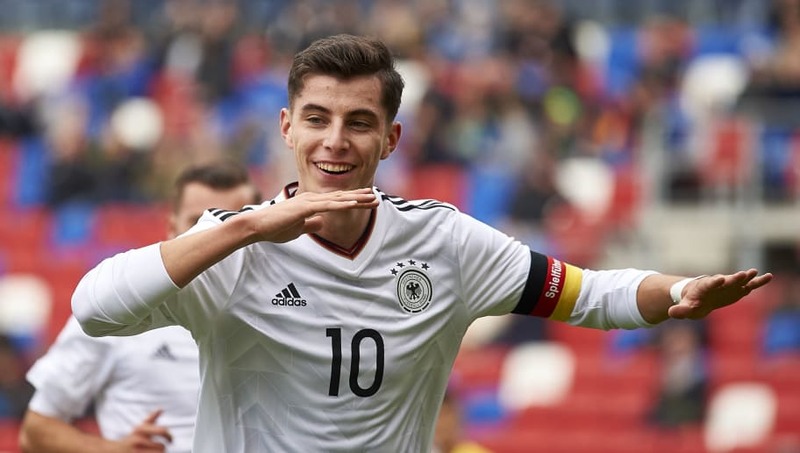 According to ​Football Whispers, the German midfielder visited in October and was greeted by manager Jurgen Klopp, star player Philippe Coutinho and club legend Steven Gerrard as the Merseyside club pulled out all the stops to convince Havertz and his agent to sign on. At just 18-years-old, it's no surprise that Liverpool are doing everything they can to sign one of the hottest young stars on the planet, highlighted when he got a hat-trick of assists in Leverkusen's 5-1 demolition of Borussia Mochengladbach last month. The Liverpool Echo suggest that Liverpool have been long term admirers of Havertz and were scouting him at October's U19 Euro Championship. Havertz only signed a new five year deal this summer but that could have just been to increase his value with the previous contract likely to have been on a low tier wage prior to his big breakout last season. Able to play in attacking midfield or on the right wing, the young German playmaker is being hotly tipped as the 'next Mesut Ozil' and could be aiming for a spot on the flight to Russia if he keeps on improving at his current alarming rate. He is Leverkusen's youngest ever Bundesliga player at just 17 years and 126 days and his rapid development last season saw him net four goals and provide six assists even though he started out with the Under 19's. He also already has Champions League experience - even though he comically missed the second leg tie with Atletico Madrid as it clashed with his school exams - and an added bonus for the Reds is that he would not be cup tied if he joined in January as a difficult domestic season last year meant the German club missed out on the European spots.